Growing a family is hard work but with all of the amazing resources in the Gallatin Valley, your journey can be a smooth one. At Roots Family Collaborative, we know that no one was meant to parent alone and we are here to help connect you to the resources you need on your journey from pregnancy to parenting. If ever you need a little extra support to find what you need give us a call at 406-570-0738. 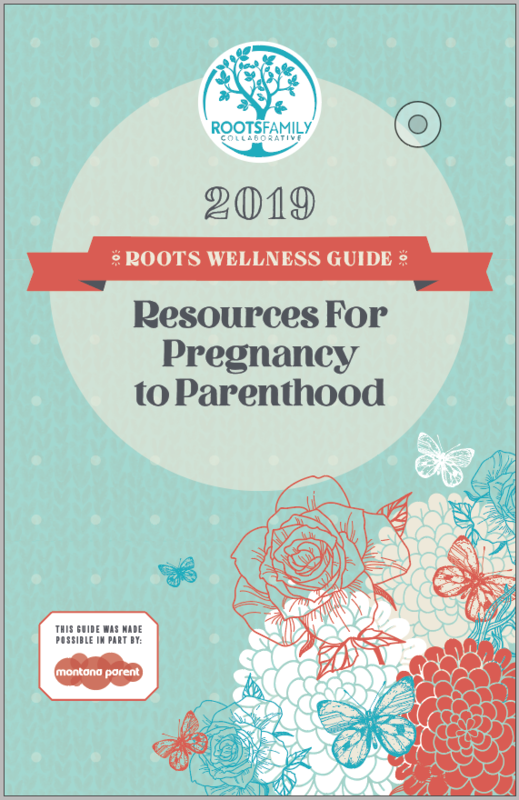 The Roots Wellness Guide 2019 highlights those professionals in our community who have received specific training in perinatal mood and anxiety disorders as well as those who have worked with families in this unique developmental stage. With this guide, families will be able to connect the dots of postpartum support in our community. The Roots Wellness Guide does not serve as a recommendation or endorsement of specific providers, it simply serves as an informational listing for those seeking support. Click on the image to read the digital version. You can also find a copy in the January Issue of Montana Parent Magazine. Please contact hello@rootsfamilycollaborative.com if you have any questions about the guide.